​Caleb received his diagnosis on the Autism Spectrum in 2013. Before that time he had a diagnosis of PDD (Pervasive Developmental Disorder). Caleb is also has Sensory Processing Disorder. Caleb has come a long way, but still has many strides ahead of him. Caleb as an infant-toddler was developmentally behind in a lot of areas. He talked as an infant, but stopped talking within a few short months. We brought a puppy in our house shortly after he was 2, it was then he started talking and has not stopped since. Caleb has been in speech/language since he was little; he has gone from 1-2 words to now learning how to get across what he wants to say to others and learning how to make friends. Caleb has also been involved in physical and occupational therapy. Caleb can only want to do things “Caleb’s way” and that is it. He has no stranger danger, as will wander, and run out in public. With 3 younger siblings that has been a growing concern in our family. 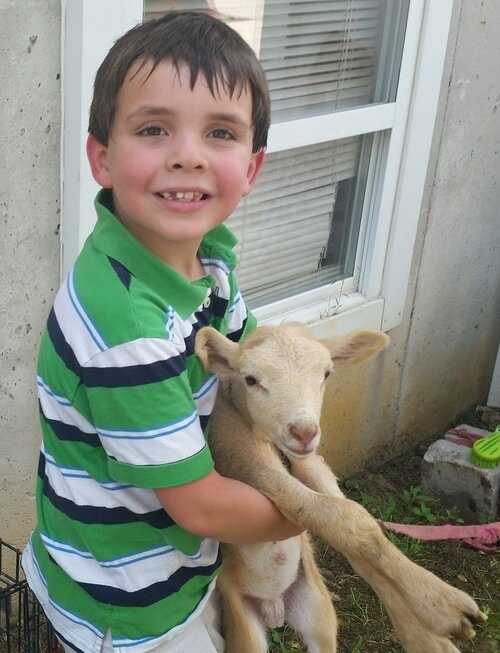 Caleb has always had a love for animals; he participates in horse therapy as well. Getting this service dog for Caleb, would give him the sense of independence, knowing he can accomplish a task, like his homework and knowing he has a constant companion by his side. It would also give his family a sense of peace that he will be safe. And that we will be able to do actives as a family again. We truly believe this companion will help Caleb as a person. We need your help in raising money for our service dog. As a family of 6, and living on a teacher’s salary there is not a lot to spare all the time. 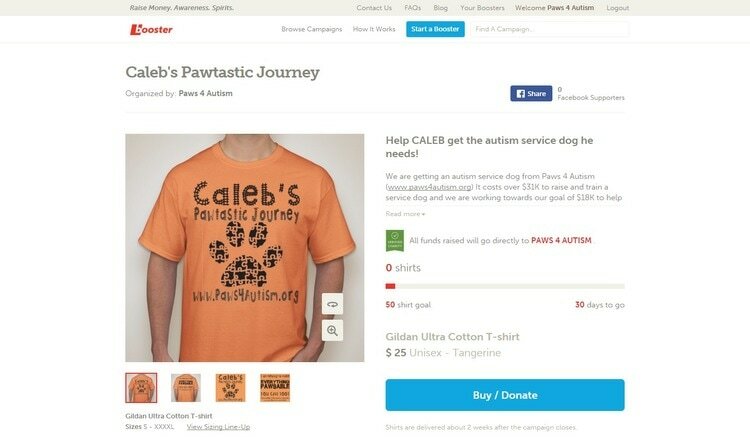 Every little bit would help us reach our goal for Caleb. Thank you for letting us share Caleb’s story with you. We appreciate your generosity and support in our fundraising efforts.